It all comes down to this. A fortnight from now a champion will be crowned. In what promises to be a scintillating outing fans will be treated to the first Superbowl between two #1 pick Quarterbacks and the first Superbowl where players drafted #1 and #2 in the same year have both taken the field. With the narratives forming, what better time is there to take a look at some far too early predictions? Both Quarterbacks will throw an interception – Only once this decade have both teams thrown an interception in the Superbowl (last year). The good news is that the odds of it happening again seem to be low, the bad news for both fan bases is they have men susceptible to throwing an interception under centre. The bad news for Broncos fans is that Peyton Manning has thrown an interception in each of his Superbowl appearances (four in three games) and that is something that will be niggling at him over the next fortnight. Cam Newton has shown Panthers fans the excitement he demonstrated on his way to winning the Heisman. The further the Panthers have advanced, the more Newton has tried a little too hard. It’s not new information that Newton likes the deep ball, but his interception in the NFC Championship game is the perfect example of him putting a little too much on the ball, something the Broncos will try to goad him into in two weeks time. The Broncos will run and run often – Throughout generations the best Manning teams have had the balance of a run/pass diet. For Peyton, who is going to be the oldest player to start in a Superbowl, it’s crucial that the weight of responsibility to move the chains is shared with Anderson and Hillman. The Broncos averaged 3.3 yards per carry in the AFC title game against the Patriots, out-rushing the defending champions by 55 yards on the day. The Panthers rushed for 152 yards, with Johnathan Stewart finishing with 83 yards, 16 less than the entire Broncos effort. The Panthers are going to score and score often so it’s imperative the Broncos rush not only to gain traction but to keep the ball away from Newton and Co. for as long as possible. The Broncos defensive efforts will falter – Breathtaking, dazzling, stunning, wondrous and splendid. They are just a few of the words that spring to mind when thinking about the defensive effort against the Patriots. Can they replicate that form two games in a row? Without a doubt. Will it be enough to get another ring for the Mile High City? The jury’s out. During the regular season Carolina ranked first in points per game, second in rushing yards per game, fourth in first downs and eleventh in total yards per game (averaging 15 yards more than the Broncos in the process). There’s no arguing with the evidence – the Broncos have the means to stop a high-octane attack such as the Panthers. It might only consecutive series or a quarter but the Panthers will have their way with the Broncos. Stopping the attack and wrestling back momentum will decide who gets to life the Lombardi Trophy. 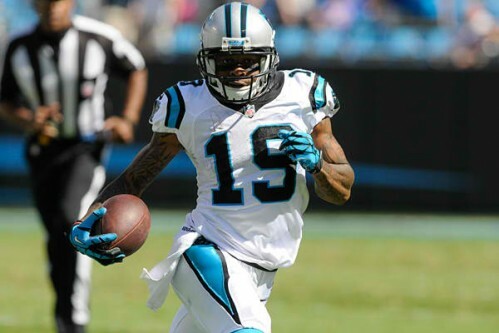 Ted Ginn Jr. is going to step up yet again – The Ohio State alumni is somewhat of an enigma. Now in his ninth year after being drafted by the Dolphins, Ginn Jr. has never lived up to the lofty expectations bestowed upon him as a one-time High School and College All-American. In Carolina he has found his sort of person, with his career high rushing and receiving averages a testament to the player he has become under Ron Rivera. There will be no shortage of players telling the media this is the game that they were born to play. Ginn Jr. has always thought of himself as an elite level footballer and when he’s given his stage he will demonstrate why. The halftime show will be at best, mediocre – Not really a “far too early” prediction given that Coldplay were announced with Beyoncé and Bruno Mars last year. The halftime show is about hype and for all the commercial success in the world, that’s not something Coldplay are known for.